The taxi industry has grown rapidly, paving the way for thousands of taxi businesses. However, from a user’s perspective, this means a chaotic experience for choosing the best among them. A taxi operator can leave its mark on the industry only when they are successful at connecting with their customers. So how does a taxi business stand out from the clutter? The answer is brand consistency. Every business, big or small, needs to be able to create a brand image that a customer can easily recognise, remember and trust. And for a brand to really sink into the minds of the customers, the business must bring consistency in its messaging, voice and persona, throughout all the communication channels. The first step towards building a brand identity is to set brand guidelines. Once you have finalized the name and logo of your taxi business, make sure you create a proper guide on various topics like usage of the brand logo in print, online and promotional merchandise, the tone of brand messaging, brand style, color and fonts permitted for the business and more. 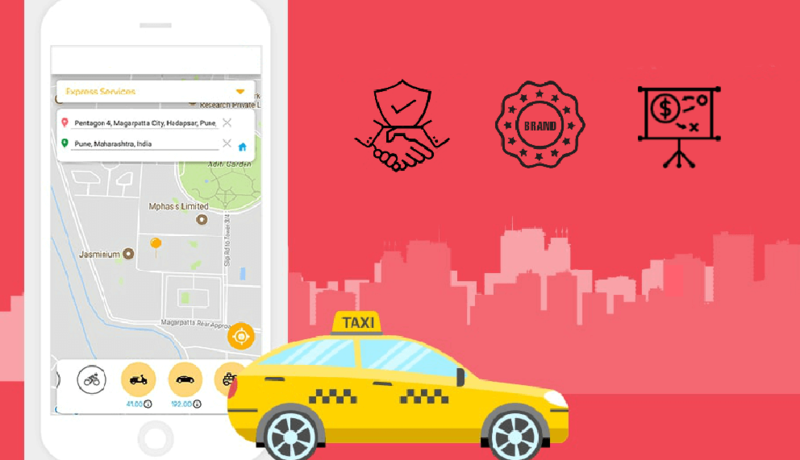 Another great way of building a strong identity is by creating a white-labelled taxi app that would help your customers in identifying your business. By bringing a consistency in your identity, you are successful at creating a brand that is easily recognised by your customers. Even without mentioning the brand name, your customers will be able to identify your services by your messaging, colors and style. That is the power of a strong, brand identity. Most consumers make purchasing decisions based on emotional influence and not rational. This is precisely why consumers tend to perceive businesses as an individual. The best way of building an individuality to your business is by shaping its brand. Similar to how an individual is defined by its personality, a brand should have its own voice. To succeed at making a lasting impression, brands need to bring consistency to its content, messaging and tone. From the website, the mobile application to the social media pages, your taxi business should maintain consistency everywhere. Once your brand is capable of providing consistency in your quality, message and identity, your customers will find it easier to trust you and your services. With such trust factor, it is quite easy to build brand loyalty. If you have the advantage of loyal customers, your business will witness continuous success, no matter how many competitors stand against you. Take the initiative to build a consistent, strong brand identity and cement your position in the taxi industry.